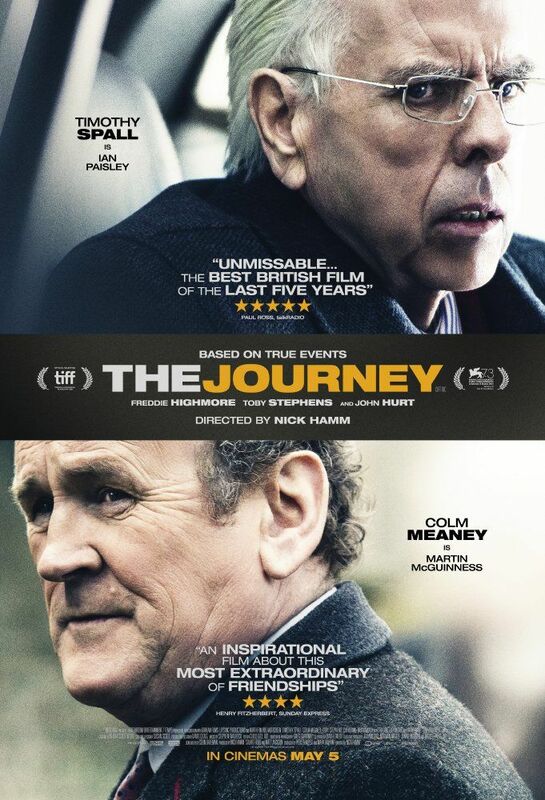 The Journey is a 2016 British-Irish drama film directed by Nick Hamm and written by Colin Bateman. The film tells the true story of how political enemies, Ian Paisley and Martin McGuinness, formed an unlikely friendship and changed the course of history. It stars Timothy Spall, Colm Meaney, Freddie Highmore, John Hurt, Toby Stephens, and Ian Beattie. Read more on Wikipedia.